My post is all about the things you didn't buy on Zulily. Figuring out how to deactivate Jetpack tools is not easy... This will save you time, and you will thank me one day. Seriously. Need some fast & easy projects to do over the weekend? Want to reduce the amount of chemicals in your home? Me too! Need a last-minute getaway spot? Here's my guest post for Bourbon & Boots about Fort Morgan, AL. This week, my Selma photo blog features Lafayette Park, where the Marquis de Lafayette once stopped for a brief visit. This is also the site of Selma's first river bridge before it was replaced by the Edmund Pettus Bridge in 1940. 13. Project Bulk - Every now and then, I'd like some time off from rigorous calorie counting. 15. Y'all Connect - How our attendees photographed our conference. 16. Alabama Bloggers - My thanks to Rachel for her post on what she learned at Y'all Connect. 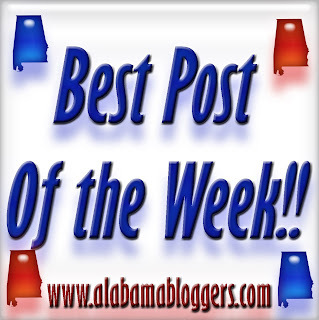 Alabama Blogger Meet-Up September 6! KEEN Digital Summit - Winner announced! Win a Pair of Passes to KEEN Digital Summit! !